10 year-old Amin was playing with his cousin when he found an unexploded bomb. “Shrapnel entered my chest, it burned like a fire. I was rushed to a hospital in Aleppo where I stayed for a month,” he added. The drive from Amin’s town to the nearest hospital in Aleppo city takes almost an hour. Luckily Amin’s life was saved. Amin’s home town Assan was under heavy fighting since July. With fighting subsiding in the area, many families are returning home. But the heavy presence of unexploded remnants of war poses a life-threatening risk to children. 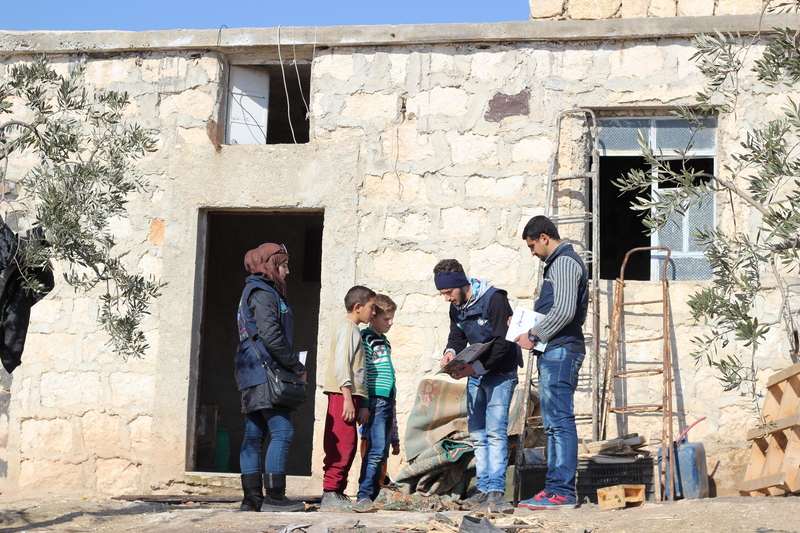 UNICEF-supported volunteers on a home visit to Amin’s family in Assan village, southern rural Aleppo. Volunteers hold awareness sessions and recreational activities to educate children and parents on the life-threatening risks of remnants of war. UNICEF partners reported that six children were injured by mines in Assan, just like Amin. In east Aleppo city, six children died in December when they were playing with unexploded ordnance. UNICEF is urgently providing mine risk education for children and their families as they return to potentially dangerous areas. UNICEF-supported partners and volunteers are going door-to-door providing children, adolescents and parents life-saving information on the risk of remnants of war. Since last November, more than 80,000 people received information through house visits and awareness sessions to help them easily detect when they see harmful objects like mines. Back in Assan, Amin attends educational sessions on raising awareness about unexploded ordnances. “From now on, if I ever see such objects I will stay away. I will report it to an adult who will take action,” he says. 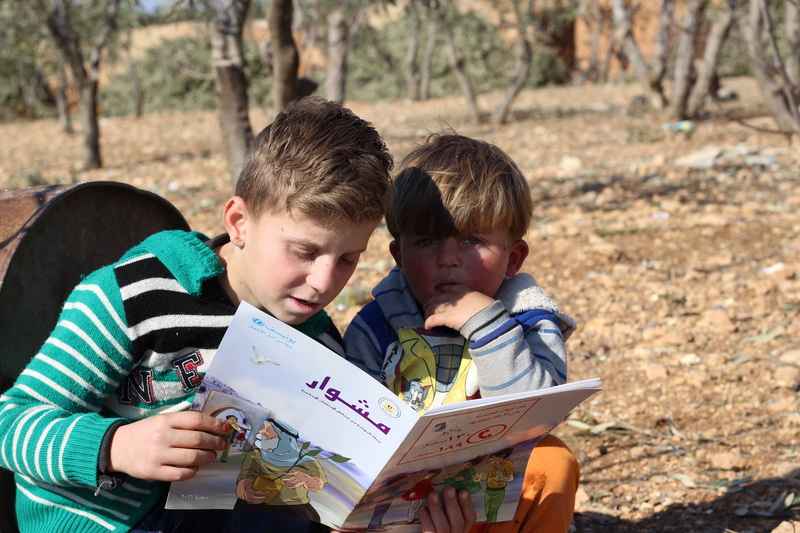 Here are few photos of Amin and UNICEF volunteers providing education on risks of unexploded ordinances.